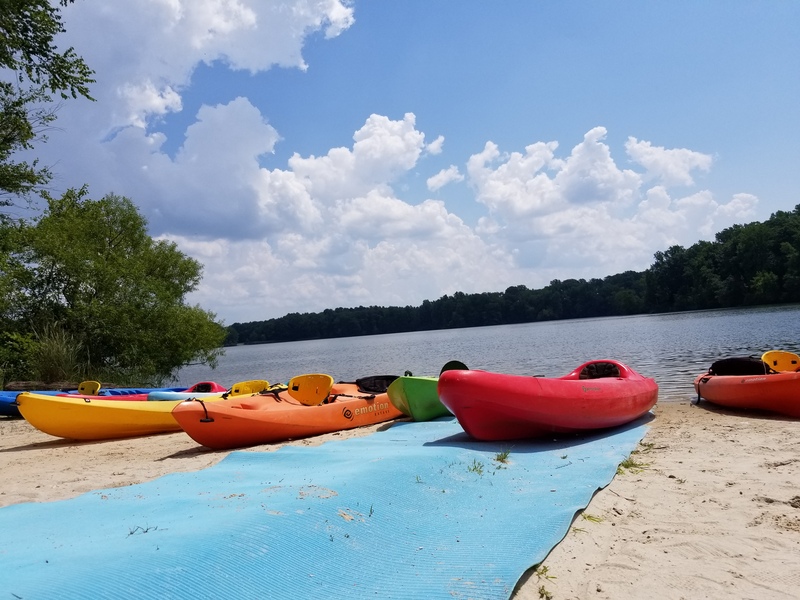 Join us in our mission to connect families and friends to the resources Delaware State Parks has to offer. From natural rock walls at Alapocas State Park to the sandy beaches of Cape Henlopen, Delaware has something for everyone. The discoveries are endless when taking part in our Passport Program. Win prizes and make memories to last a lifetime. Plan your hike, beach day, or historical tour, and while you're at the park take a “selfie” at a passport photo location. Track the places you have visited. Upload your pictures and cool stories using the form on this page to share your adventures. Complete all 19 photo locations to win awesome Delaware State Parks gear and an annual pass for the next calendar year! Passport photo locations are listed below. Visitors to Alapocas Run must see the craggy blue rock walls along Brandywine Creek. 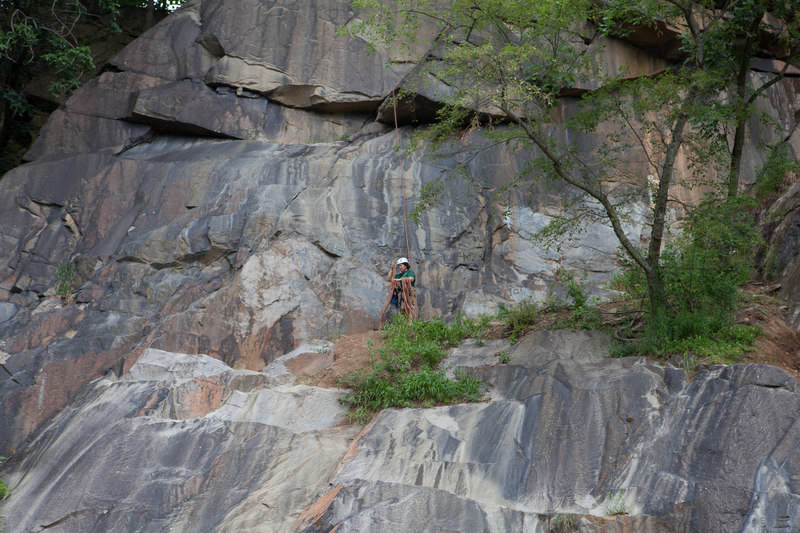 Once an old quarry, visitors now can top-rope climb and rappel on these rocks.. The Marshall Bridge (formerly McIntyre Bridge) is an 1883 bowstring truss bridge from Iowa. Constructed by the King Iron Bridge and Manufacturing Company, it spanned the Skunk River for over 100 years. A road closure, plus extensive storm damage marked the end of its Iowa life. Disassembled, refurbished, and reconstructed by the nonprofit group Workin’ Bridges as part of historic bridge preservation efforts, it was repurposed by Delaware State Parks in 2018 as part of the Auburn Valley State Park trail system. The bridge was dedicated as the Marshall Family Bridge on November 9, 2018. The bridge itself is not currently open. Please take your selfie from a safe distance. Bellevue Hall, a former DuPont residence, was first built to resemble a Gothic Revival Castle! 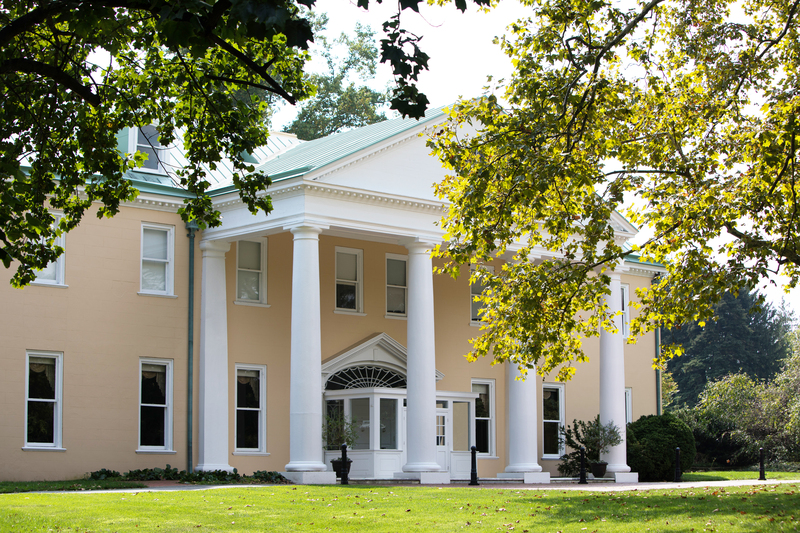 William J. DuPont, Jr. transformed the building into a replica of President James Madison’s home, Montpelier, and surrounded it with gardens, stables, and a beautiful pond. Today, the pond is used for catch-and-release fishing for bluegill and catfish, and you'll see red-bellied and snapping turtles sunning themselves. 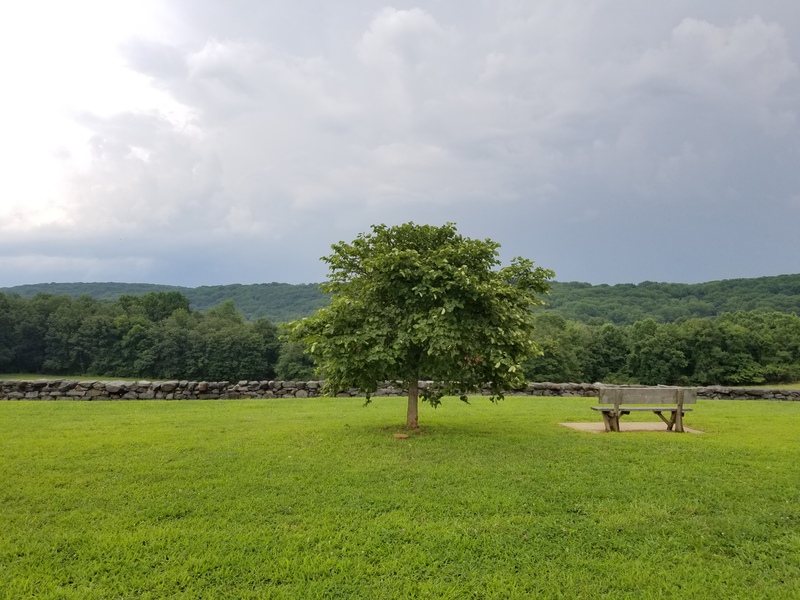 The stone wall and rolling hills provide a gorgeous backdrop to see birds soar, enjoy sunsets, and hike the trails that wind through the park. The first two nature preserves in Delaware are located in the park – Tulip Tree Woods and Freshwater Marsh. Red pandas are part of the Association of Zoos & Aquariums (AZA) Species Survival Plan. These plans coordinate the management of endangered species in accredited zoos. The Brandywine Zoo, founded in 1905, is the only AZA-accredited zoo in Delaware. Visit our one-of-a-kind play area at the Seaside Nature Center and see TWO Blue Crab statues! The statues as part of an exhibit that will explain how trash in the waterways is dangerous to all kinds of marine life. Walk to the top of the Indian River Inlet Bridge. The pedestrian lane on the bridge can be accessed from either the North Inlet or South Inlet Day Areas. The inlet has moved several times throughout the last two centuries, even closing completely several times. Finally, in 1928, dynamite was used to open the inlet to navigation. Jetties were built in the late 1930s to stabilize it in its current location. The inlet is where the Indian River Bay meets the Atlantic Ocean, and it is a place where natural and cultural history converge. This park is a small sandy access point to the Little Assawoman Bay. With an unobstructed view, it is one of the best places in Delaware to watch sunsets and sunrises and sea birds dipping and diving into the Bay. Across the bay is the Assawoman Wildlife Area. Hours for the John Bell House: Monday-Saturday 9am-4:30pm Built sometime in the mid 1700’s, this restored building was named the John Bell House after John Bell III who was given the building in 1793. It is the oldest documented frame structure on The Green. Fort Delaware was full of cannons like this one, which were important for national defense. This gun could fire a 65 pound ball up to 2.25 miles! From up here you can also see the island, the river, and the shores of Delaware and New Jersey. During the Civil War, the island would not have looked bare as it does today, but would have been packed with buildings and people. Each of these people had a life and story of his own. 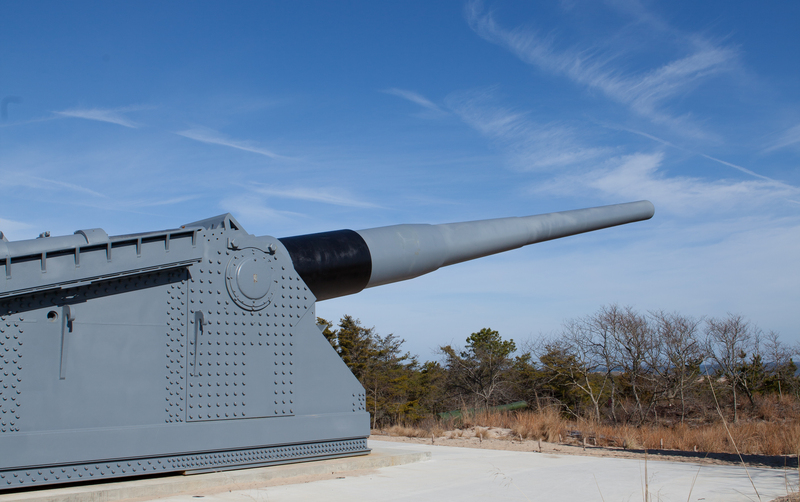 Visit the Fort Miles Museum Artillery Park and experience the picturesque view of the Atlantic Ocean from our 16-inch gun pad. This gun could fire a 2,700-pound shell a distance of 25.5 miles! Fox Point was not actually named after the animal—if was named after S. Marston Fox, who spent the last 25 years of his life working to protect the land that the park sits on today. Featuring a playground, picnic pavilions, and a trail along the river, it is a great gathering space for families and groups. Fox Point State Park offers excellent views of the Philadelphia skyline, the Delaware River, and local water traffic. The Sea Hawk Trail meanders through hardwood forest, salt marsh, meadow and freshwater bogs, and has a lookout point on the Indian River Bay. Soil was excavated from this site for highway projects in the area. 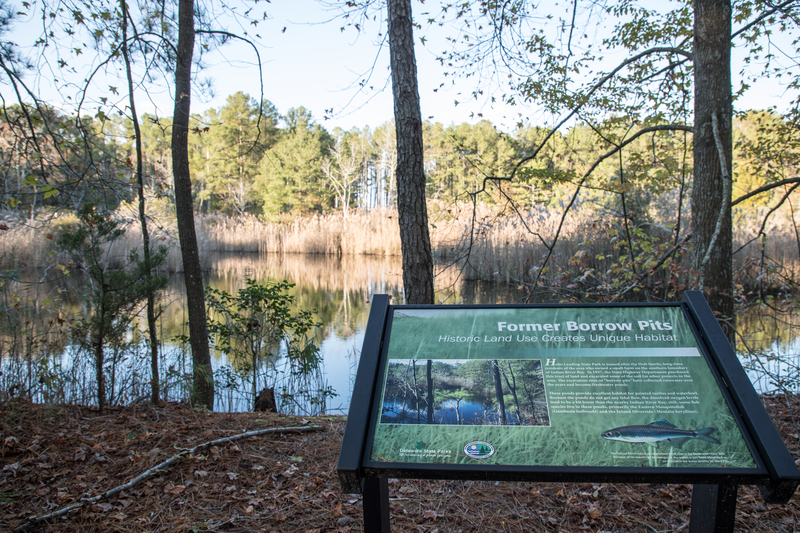 The excavation sites, or “borrow pits” have collected rainwater over the years, forming freshwater ponds. The Pondside Trail offers some truly beautiful and peaceful moments while you enjoy Killens Pond and the Murderkill River. According to legend, the river got its unusual name from the massacre of a Dutch trading party in 1648. Today, a stop on the Pondside Trail’s bridge reveals the peaceful oasis it has become. 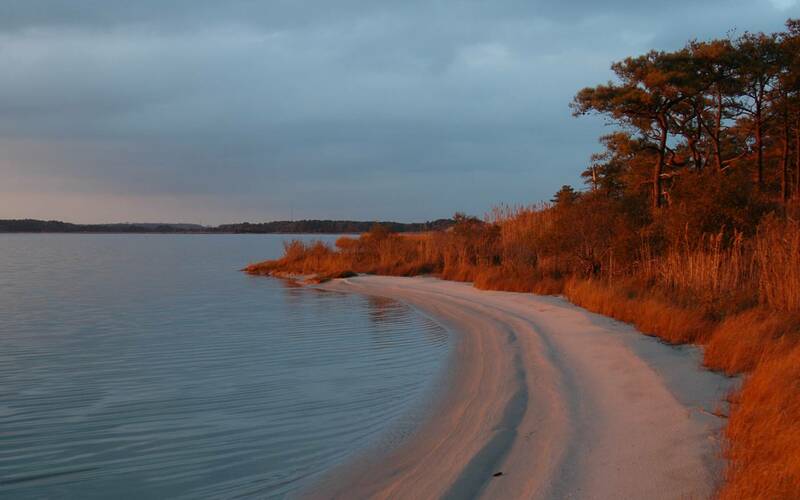 Lums Pond, Delaware’s largest freshwater pond, covers 200 acres. Boating and fishing offer plenty of water bound activity, and the boat docks in Area 2, right off the Swamp Forest Trail, are perfect for taking in the pond’s beautiful vistas. During the spring, when the shad run was on, fishermen from Port Penn would want to spend as much time on the river as possible. Floating cabins like these could be towed out with a boat and anchored at a specific spot, so that fishermen would not miss a moment of the action. These cabins usually had a kind of tank or outlet to keep caught fish alive until the cabin was hauled back in. The cabin contains a bed, a small cupboard, a stove for warmth, and a small table. Post Mark’d West designating the location from which Mason and Dixon measured the east-west line (starting at our western border) through 230 miles. This was later referred to as the “Mason Dixon Line” when talking about the Civil War divisions between the South and North. This Post Mark’d West was established after resolution of an 80 year court battle in England between the Penns of Pennsylvania and the Calverts of Maryland. 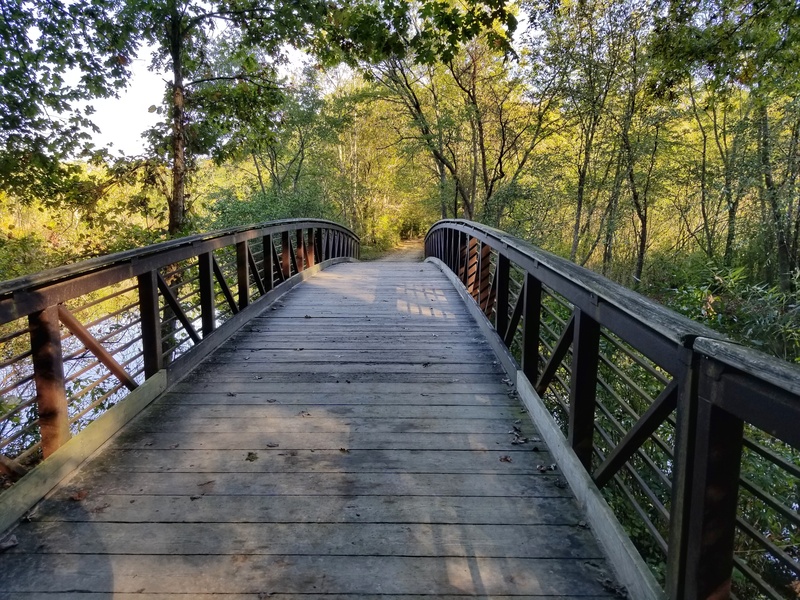 Standing on the Swinging Bridge, visitors can experience nature in the heart of the city and connect to the power of the Brandywine River and its rich history. Some trails may be challenging for those with limited mobility. If you cannot reach the photo location, please take your selfie as close as you safely can.